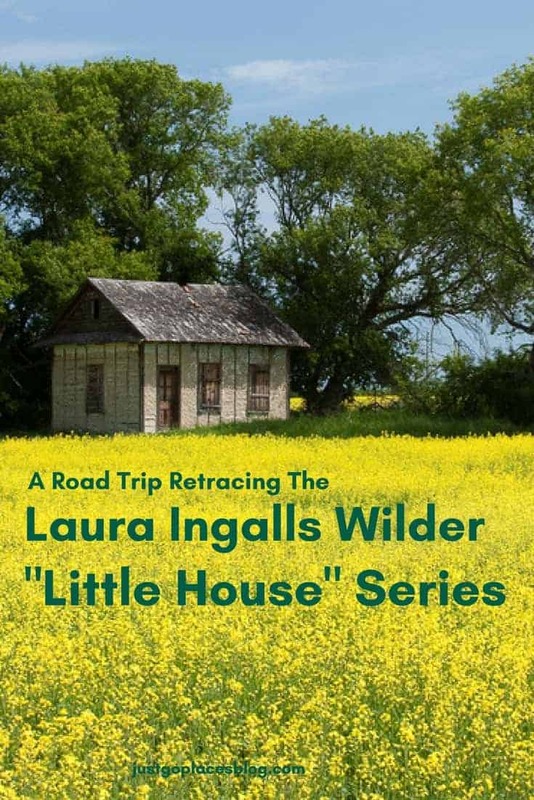 Welcome to the podcast show notes and transcript for Episode 9: Road Trips Retracing The Laura Ingalls Wilder Books. 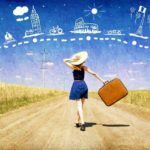 In this episode Rachel Heller and I speak with travel blogger, Debra Thompson, who writes at Just Short of Crazy. 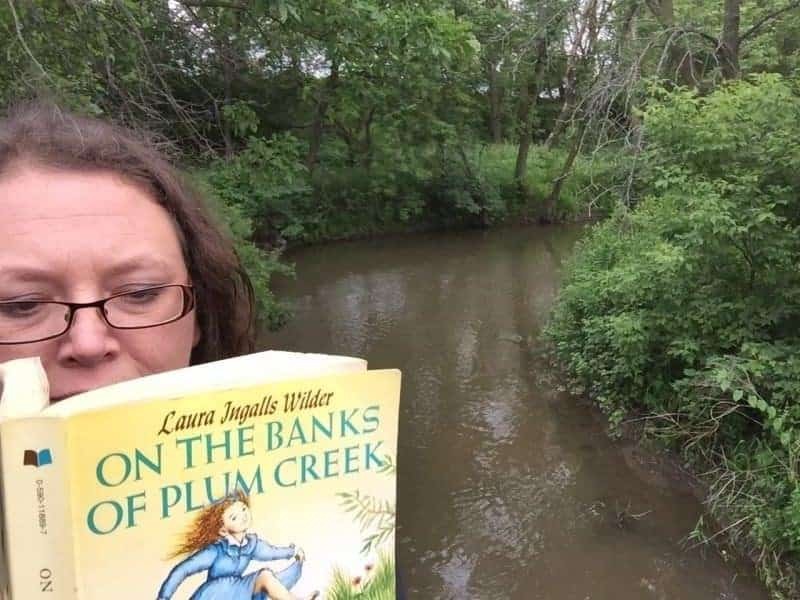 A self-confessed Laura-looney, Deb and her friend have done two 1 week roadtrips retracing the Laura Ingalls Wilder books. The Little House on the Prairie books cover a vast swathe of the USA from Minnesota to South Dakota. It’s hard to imagine how families in the 19th century covered this distance in a covered wagon facing un uncertain future and an unfriendly reception. Listen and see if you become a Laura Looney, too! 4.10 Join our growing community of readers! 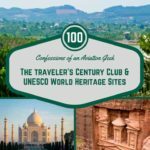 Go here to listen to Episode 9 of the 1001 Travel Travels Podcast. 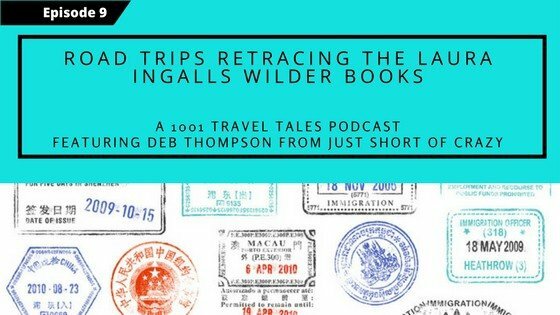 This is a transcript of 1001 Travel Tales Podcast: Episode 9: Roadtrips Retracing The Laura Ingalls Wilder Books. 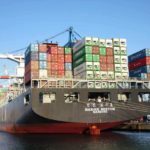 The text has been lightly edited for clarity and readability. 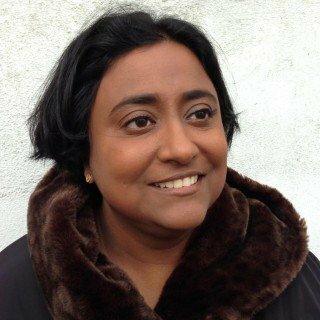 A conversation with Shobha George (Just Go Places Blog), Rachel Heller (Rachel’s Ruminations) and Deb Thompson (Just Short of Crazy). SG: Hello today we are speaking with Deb Thompson who writes at justshortofcrazy.com. Deb is here to tell us about her 2 road trips that she did following the Laura Ingalls Wilder’s books and the Wilder family history. Hi Deb! DT: Hi Shobha, Hi Rachel how are you? DT: Yes, I am thrilled to be here, I am quite passionate about Laura Ingalls Wilder she was my childhood hero I read her books numerous times. DT: Yeah, as I got older I never knew this as a child. I really didn’t know this until I was, well we won’t mention any ages but much longer than after a child I realized that you could actually visit the places where she lived. At some point I was like, oh my goodness this is not fiction. This is real life. This really happened. Laura you know really existed. So when I found out I could visit her locations, that was it. The planning started. A girlfriend who is just as passionate about Laura Ingalls Wilder decided to join me. She and I spent two summers about 10 days each following the Laura Ingalls Wilder’s path which was quite interesting and quite fun. When you road trip in America, there are all kinds of weird things. SG: But that’s the fun part isn’t it? DT: That’s the fun part. You know the length it covered and this is what always amazes me. 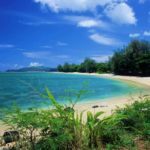 Pa was probable the original travel writer. He just wasn’t happy being in one spot. He was born in New York. Then he moved out to the mid-west but he was always on the move. They lived in numerous places. There were six spots in the mid-west that they lived. They were quite a ways apart. So when we did our road trips, each one was about 2500 miles each. From our home, we visited 3 the first summer and 3 the next summer. Both of those trips were about 10 days each. SG: The furthest west they went was South Dakota. SG: So where did they start on? What was it from where? DT: So, Pa was born in New York and then he moved west. So the first book that takes place in the Laura Ingalls Wilder series takes place in Pepin Wisconsin which is near, oh gosh. DT: It’s along the Mississippi and it’s in the north part of the state. RH: So I know that one of the books was called “[easyazon_link identifier=”0064400026″ locale=”US” tag=”jg20-20″]Little House on the Prairie[/easyazon_link]” but one of them was “The House in the Woods” which one was this? 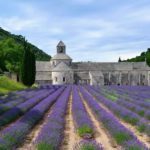 DT: Pepin was “[easyazon_link identifier=”0060581808″ locale=”US” tag=”jg20-20″]Little House in the Big Woods[/easyazon_link]”. That was the very first story. That was where Laura was a little girl. They were living out far from any civilisation. Besides Pa being quite the traveller, I think he was pretty much a loner. If there were 10 people within a 10-mile radius he would say that there were too many people nearby. He has to move on. SG: No wonder he left New York. So on our first journey, we went from Burr Oak, Iowa. There are no books written about Burr Oak. It’s this tiny little old bar that they lived above. There is a little tiny museum store there. Not much was written about it because it was a really rough time for the family. They had hit some hard times and they had lost a child. So Laura never wrote about Burr Oak. You can still go there and visit and see where they lived for a short time. From Burr Oak we made our way towards Walnut Grove. One of our favourite things about heading towards Walnut Grove is we had to stay overnight somewhere. We found this Earth Inn in Jackson, Minnesota. 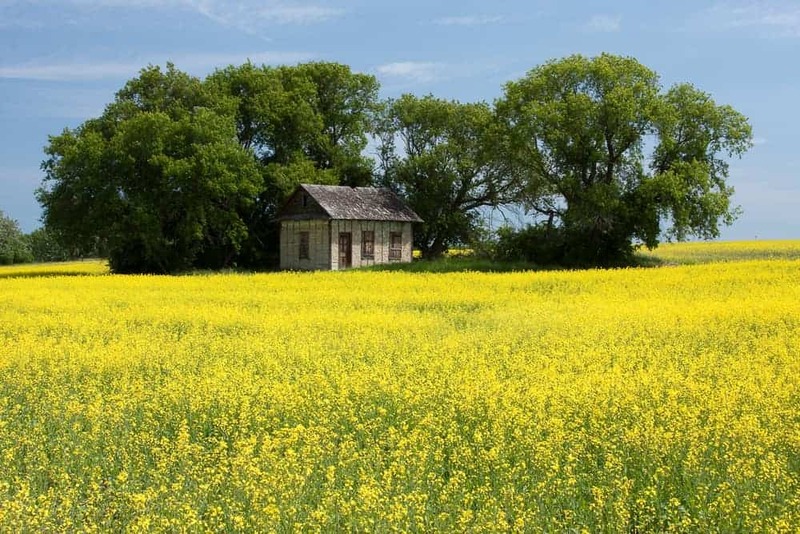 We all know from the Laura Ingalls Wilder books that they often lived in like a sod house. Lots of people at that time lived in sod houses. 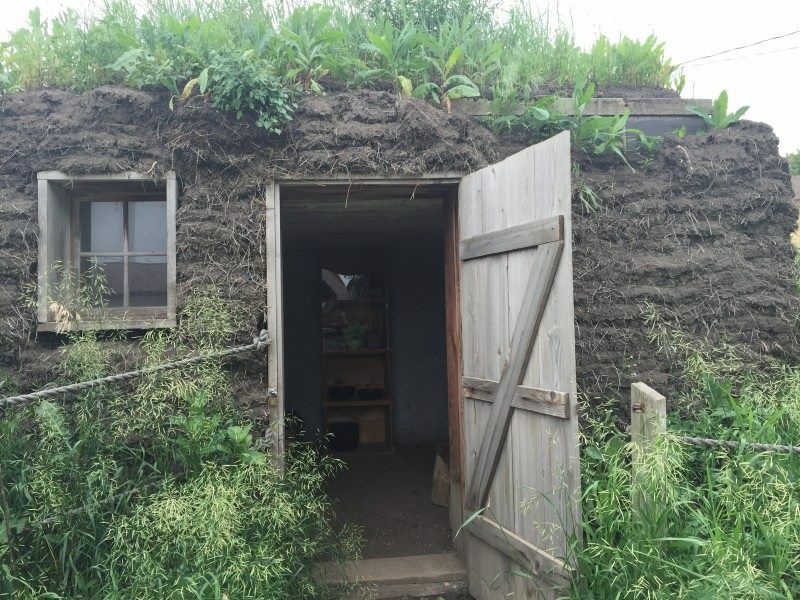 The Earth Inn in Jackson is the closest you will get to actually experiencing a sod house and staying overnight in it. It’s kind of built into the side of hill. The roof is all grass. It was awesome. SG: That’s really cool. It’s got the modern amenities, right? DT: Yeah, there is electricity and flush toilets or this girl wouldn’t stay. RH: Isn’t there one that was sort of a museum? I can’t remember to be honest where it was. It was a long time ago. I think it might have been South Dakota. RH: It was a sod house to see how these people who settled there lived. It didn’t have any modern conveniences. RH: You could actually see the old wall paper sort off peeling of the walls. SG: Right that’s exactly where I took my kids too as well. RH: You have been to that one. I forget what it’s called but the point is, it was dark. In there, it was dug into the side of a hill. Its roof would be sort of bricks cut out of the earth with a layer of grass on it just cut out of the ground. I’m sure it was insulating and cooling in the heat of summer and all that sort of thin. It was dark. DT: They had it well-lit inside so our windows. We did have one wall that had windows that looked out half onto the parking lot, kind of set down into the ground. It was like a sub-basement that goes half into the ground, half above. It was so well lit that it didn’t matter. We just thought it was awesome so we didn’t care. It could have been dark. We were like we are living in a sod house. This is awesome. SG: Yes, and you know what they aren’t that many options to do that anymore. This is kind of cool. DT: It was really cool. I know that place you are speaking of about where you could see the sod houses. There were signs and we followed them. When we road trip we get distracted easily which is probably why we go 2500 miles in 10 days. Let’s follow the trail. Then you going down these dirt roads. Then you are looking around and you are like, do we know where we are at? Thankfully with modern technology you just pull up a map on your phone as long as you have, you know a signal. We did visit those sod homes that were really cool. It was pretty much the honour system there. You just put some money in the box and go visit the homes. But I love the mid-west and the whole honour system. SG: That sounds different from the one I went to because the one I went to had a gift shop and a person. DT: Okay reminds me of the one at De Smet the actual Laura Ingalls museum. 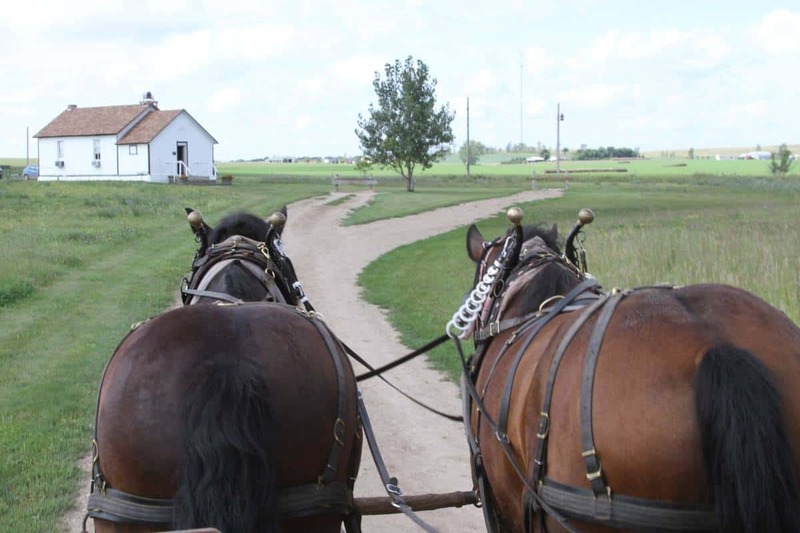 SG: It’s called the Prairie Homestead Museum. There is more than one of these if people want to check them out. That’s good to know. DT: Yeah, I’ll swing around to that. From Burr Oak and the Earth Inn that we loved, we made our way to Walnut Grove which is where “[easyazon_link identifier=”0064400042″ locale=”US” tag=”jg20-20″]On the Banks of Plum Creek[/easyazon_link]” was written. I think the coolest thing about visiting Walnut Grove is that there was that place called Nellie’s Cafe. DT: Nellie was a combination of multiple people. That’s my understanding. SG: Okay so this is her frenemy. DT: This is her frenemy, yes absolutely. And they have this large museum there you can wander all through and see all kinds of stuff. The best part is you can actually go to Plum Creek. It’s on private property. You just pay like two bucks to the honour box and drive back. You can see the actual dug out home where Laura Ingalls and her family used to live. DT: It’s still there! The actual dugout part is not but you can see the hill. You can play in the creek that Laura and her sister played in. It was a highlight of that trip. SG: Really this is a dress up opportunity. Put on a bonnet and have a picnic. You know the children would be looking at me. What are you doing?! But I don’t care. RH: And they roll down the hill in the grass. SG: I would have rolled down a hill. DT: Yeah, we may have put up bonnets and had a picnic. I’m not gonna lie. Yeah it happens. RH: Now the TV show portrayed them in a wooden house that the father built. But they actually were in a dugout not in a wooden house in Walnut Grove. DT: They were in a dugout for a short period. They ended up leaving because the waters rose. Because it was right on a creek, and in the T.V. show they show them in Walnut Grove. Quite honestly, the Wilders spent the majority of their lives in De Smet, South Dakota. 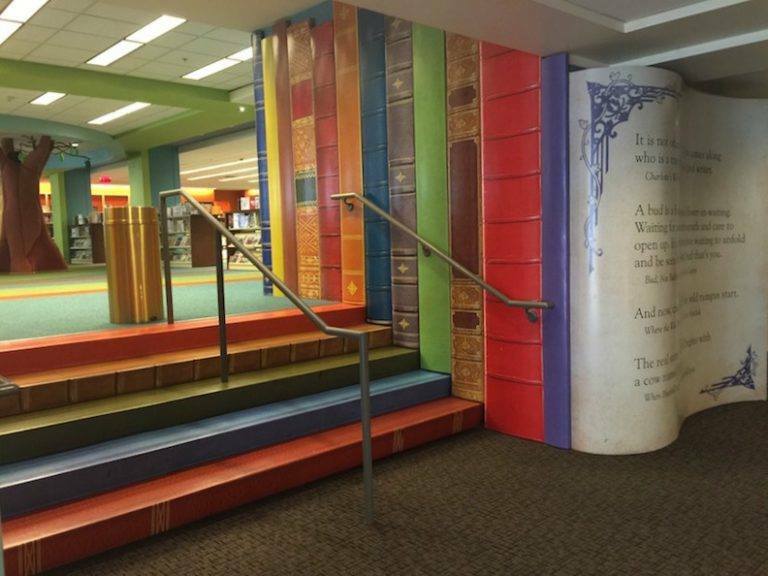 That is where 5 of the books take place. The longest being the prairie. DT: That’s the prairie so that one has in town. There is some school houses and a museum all related to Laura Ingalls Wilder and their family. There is the house that Pa built for Ma in De Smet. You can tour and go into and see where they lived the rest of their days at. You can also go out to the homestead which is about a mile outside of town and visit the area where they actually lived for many, many years. There is a replica of the wooden, very tiny, teeny house that they built and lived in for a long time. There is also a replica of a sod house out there, a big museum. One of the best parts of the prairie home, you can sleep in a covered wagon in the prairie. 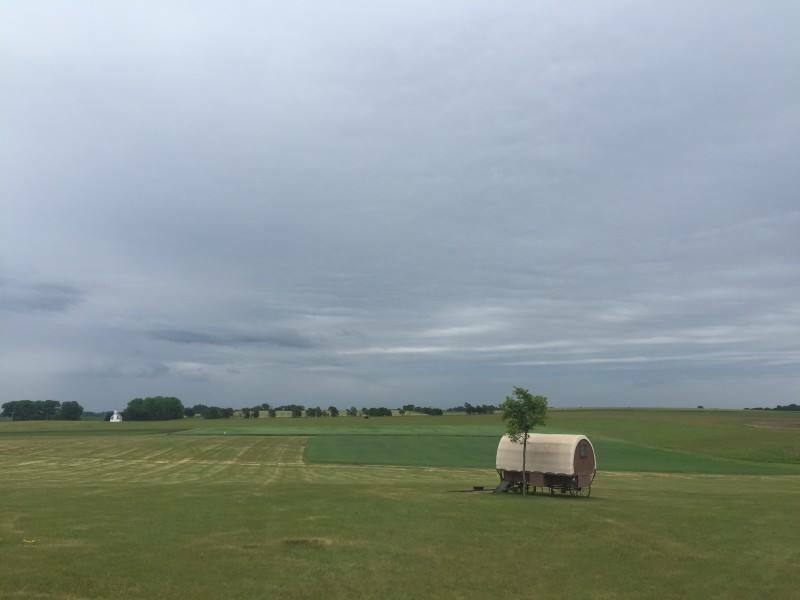 So you can over night at the prairie in a covered wagon. We spent the night there and as luck would have it, a storm blew in. There was thunder and lightning and there was carry on. We are kinda looking at each other like we’re just in this covered wagon. SG: It’s a true experience of how frightening it would have been. DT: It was a true experience. Another thing we found really interesting is that the wind always howls across the prairie. It doesn’t stop. There was no break. We were like wow. We know there was like this prairie madness because there was never a stop to the noise. I tell you what being out there, before the storm blew in there were so many stars. It was gorgeous but out there you can also drive a covered wagon. Not only can you sleep in one, you can drive one with the horses. RH: They look like they would be tremendously uncomfortable. I mean not just to sleep in but to ride in. They were brave people. They were going out far away from anybody they knew. It’s not like if they ran out of supplies they could just hop around to the corner store or anything. They were completely and utterly on their own. I mean they might be travelling in a wagon train with a bunch other people that went with them. But as a group they were on their own. SG: When I saw one of these covered wagons in Pennsylvania, they are narrow. They really aren’t that big. SG: And then you would, they are not, you would fit yourself, your family, your belongings etc. it’s hot, uncomfortable and probably claustrophobic. DT: I would think so. RH: I don’t think they generally rode in them very much except maybe the oldest and the youngest you know what I mean. I think that they did a lot of walking. The wagons were more for transporting all those stuff, the tools and their supplies. Then they just sleep in it at night. That’s the understanding I had that a lot of it was walking. DT: That’s how I understood it as well. It was a lot of walking. RH: Hundreds and hundreds of miles walking. RH: What do you do if your shoes wear out? It’s not like there is a shoemaker where you could go buy more shoes from. SG: Well you just shot an animal and I don’t know, do something with its leather. DIY shoes. DT: DIY the original. Well they were very resourceful, right? They didn’t have a choice. It’s not like today. They didn’t have much to cart or pack up and travel with. They didn’t have many belongings quite honestly back in that time. RH: Few items of clothing and that would probably be about it. SG: I’ve always thought that it was the, a serious case of wanderlust like in Pa’s case or perhaps that your options were so limited in the east that would make you want to endure this sort of journey. DT: Right and endure the weather. SG: And then the unknowns because you know it wasn’t exactly friendly territory. There were people out to rob you or kill you or do whatever. DT: Yeah it was crazy. RH: And bringing children with him doing it. When you think about it from our modern point of view pretty damn irresponsible of him. DT: Right they would be tearing them up in today’s day and age, right? SG: Those covered wagons did not have seat belts or car seats. DT: There was no car seats. How dare you make your child walk? That is so true. It was definitely enlightening to see how people actually lived. I think until you are really in it, and see how little they had. I mean you think boy I got my comfy bed and all my blankets back at home. DT: Heat and water, like running water, like just turn on the faucet. RH: No going out to an outhouse in the middle of the night, when it’s cold out. SG: Oh yes and there could be animals. DT: I’d have been done right then. There is a reason I was born when I was born. There ain’t no way. RH: Now you were talking about how you took these two trips. DT: There was 3 things on each trip but they did move more than to those. I think it was Walnut Grove that they moved away from and then moved back to. There were like Pepin, to Walnut Grove, Burr Oak back to Walnut Grove to Smet and then Laura moved on and they had a little trip down to Independence, Kansas in there as well. SG: From South Dakota that’s a long way back. DT: Right that’s a long way to go. We drove in a car and it took forever. The whole way we were like wow they were in a wagon this whole entire time. This is ridiculous. That was the second trip we went to. We started in Pepin, Wisconsin which is where that first book took place. Then we made the drive from Pepin down to Independence, Kansas. We took longer of course because there were things to see along the way but it took really a long time. DT: And then when we got to Independence there wasn’t really any signs pointing us to Laura Ingalls place. We were like missed opportunity Independence, Kansas. You should have signs all over directing us to get to Laura’s place. After a few wrong turns we finally found our way to her place there. It’s small but it was kinda cool to look at and see that was. I’m trying to think that was where ‘Little House on the Prairie” took place. DT: Again the honour system thing. There was somebody there when we were there but otherwise you just put your money in the little bucket and go onto the property. It’s crazy. So, there was a house there and some other buildings there. That one had a church you could either walk or drive to. It was quite a ways down. We could see it across the prairie. So, that was kinda cool. SG: Did you walk or drive? SG: That’s what I thought. That would be my option. RH: Girl the horse and buggy is what you have to do. DT: Totally driving anywhere I can. So, that was cool a long drive between the two which still today to this day boggles me that they done it in horse and buggy and bad roads. We complain about our roads. They had ruts to be in to get from A to B which is amazing to think about. Then our last stop on that second trip was in Mansfield, Missouri. Now that is where Laura wrote all her books. SG: So that was her married home. DT: That was her married home. She was married to Alphonso and they had Rose, their daughter. Rose that lived there. Mansfield, Missouri has spent a couple million dollars building a new museum in Mansfield dedicated to Laura Ingalls Wilder. So, you go to the museum you can watch a movie. You can see all these trinkets from their lives. Then you can go to her house and tour the house. And I’ll tell you the most significant part of that visit was seeing the actual desk that she wrote all her stories from. And I looked at my friend and I was like, we are not allowed to cry, we are not allowed to cry. It was really special experience. SG: She was pretty old when she wrote these books though she was much older in life. DT: Yes, she was. Rose was an adult when she started writing them. She [Laura] was probably in her 50’s, 60’s. She was recalling all her childhood memories. In some ways the books are probably a little skewed right from history. RH: Yeah, a little. She romanticised. Plus her memory was from the point of view of a child. SG: Where everything is fun. It would have been Ma and Pa thinking, oh my goodness what are gonna do to eat? The kids were like fun! Let’s have a picnic. DT: Let’s roll down the hill. DT: In the longest winter she really talks about how rough life was. In De Smet there was no food, no fuel for heat and the things they had to do to survive. SG: That was my favourite book at the time even though it was pretty chilling. DT: It was pretty sad right. SG: It was sad. As a child you are thinking oh my goodness what’s gonna happen next? Will they all be okay? Of course now that you are older, they weren’t gonna kill off a kid in the middle of a book, were they? DT: Maybe I don’t know. Don’t give away the ending. Spoiler. RH: Okay so I have another question, you know you have taken these 2 sort of epic trips just around that series of books. What are you gonna do next? DT: So now Sarah and I have decided that every year needs to have a literary trip. What will happen we’ll have an annual trip now that’s literary. 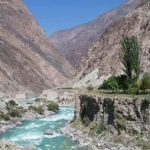 For my site I’m actually doing a year of literary travel on the site. This year will all be dedicated to literary travel around the United States. But I think next year we are doing [easyazon_link identifier=”B01N90S5JF” locale=”US” tag=”jg20-20″]Anne of Green Gables[/easyazon_link]. RH: Oh up in Prince Edward Island, isn’t it? It’s supposed to be beautiful up there. I haven’t been yet. DT: We haven’t been either. Anne Green Gables is another favourite book of Sarah’s. I have to admit that I’m not as familiar with those books but I have a year to get ready. RH: Yeah start reading. I was gonna suggest going to Britain. I went a couple of years ago, to where the Bronte’s sisters grew up. And it’s just the most beautiful little town and you can also walk up into the moors. The valleys are all farmland but there are places that haven’t been farmed. They are much more like the moors would have been in their day when the Bronte sisters lived. You could just stand up there with the wind blowing in your long skirts you know. DT: Yes, it needs to happen. It really needs to happen. SG: You know if you and your friend likes dressing up there is a Jane Austin festival every September. RH: The town was Hayworth, I just remembered. SG: So the Jane Austen Festival is September in Bath where everybody dresses up and does the Jane Austen thing. I’m going to take my daughter because it’s fun. RH: It will be great fun. SG: I know exactly. You get to wear a bonnet and sip tea and look for Mr. Darcy. DT: I totally need to take my daughter to that. She would love that. She loves Jane Austin. Oh my goodness, oh man there is so many great places right? You just find a favourite book or favourite novel or writer whatever. You can walk in their footsteps a little bit. RH: It’s a special way to do a trip when you build it around a theme rather than just the place. I mean if you just done a trip around Wisconsin and South Dakota and Minnesota it would have been just a trip round Wisconsin, and South Dakota and Minnesota. This gave it a sort of special twist. DT: We told everybody as we travelled what we were doing. People weren’t so surprised. SG: Were there other people doing it? DT: Yes, there are groups and there are people that make this journey to visit the Laura Ingalls Wilder circle. If you wanna do it all at once you probably need two solid weeks. I had somebody contact me from England that wanted to bring her daughter over and asked if 4 days was enough. I’m like no, nope, nope, no. RH: No way. It would just be too big. DT: So if you are flying in it’s probably best to fly in to Minneapolis, Minnesota or you could fly in to Chicago, Illinois and start your journeys there. RH: But really 2 weeks would be the way to do it properly. Especially if you are gonna wanna stop and do other things too. DT: Right well you are gonna have to have a car. SG: What were some of the other cool things you saw on the way in between the wagons and those places? What were on some of these crazy side roads? DT: There are always the roadside attractions that we would find like the largest tea cup or the largest coffee pot. SG: Somebody built a giant tea cup and left it there? DT: Yeah there’s just this giant tea cup. RH: And they put the sign up that say come see. DT: Yeah, come see the world’s largest tea cup. Of course I have a bend towards the haunted thing so I was always making Sarah stop at things that were known to be haunted. Even if they weren’t open, we’d have to stop so I could wander around the outside. She’s not a big fan of that but she went along with it because she’s that kind of friend. She’s a big fan of Frank Lloyd Wright. There are a lot of Frank Lloyd Wright buildings. 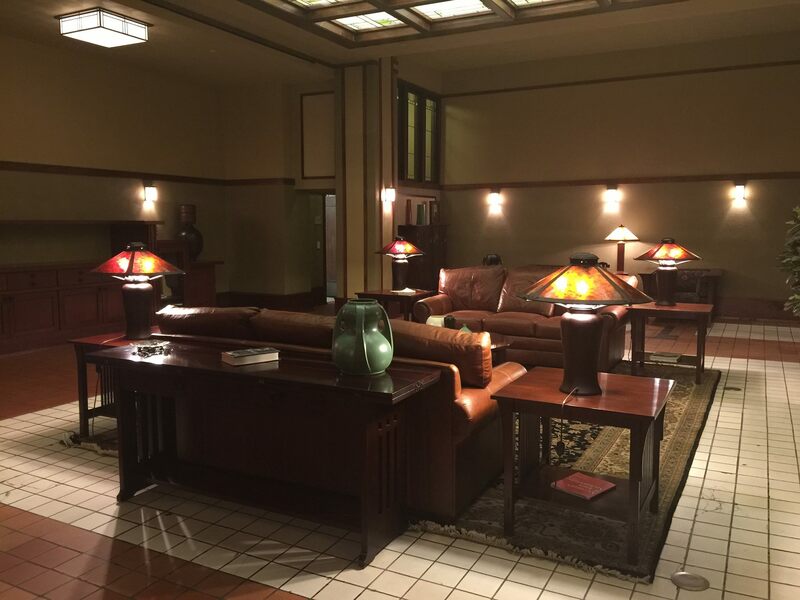 In that region, we stayed at Historic Park Inn, a Frank Lloyd Wright hotel, in Mason City Iowa which was amazing. We went to some buildings that he had built. There is the S.C. Johnson and Wax company in Wisconsin. Their corporate headquarters is all Frank Lloyd Wright built. You could take a tour. Well we looked online and there weren’t any tours available. We were sad, Sarah was more sad than I was but we were sad. I was like, you know what, let’s just stop and see. So we walked in and we were like is there any chance at all that there is room for 2 people on the tour? She was like funny enough 2 people just cancelled and you can have their spots. That was our second trip and that set the tone for the entire trip. All these amazing things started happening to us. I can’t remember them all but like tickets will become available when they weren’t any. We would find really cool stuff. 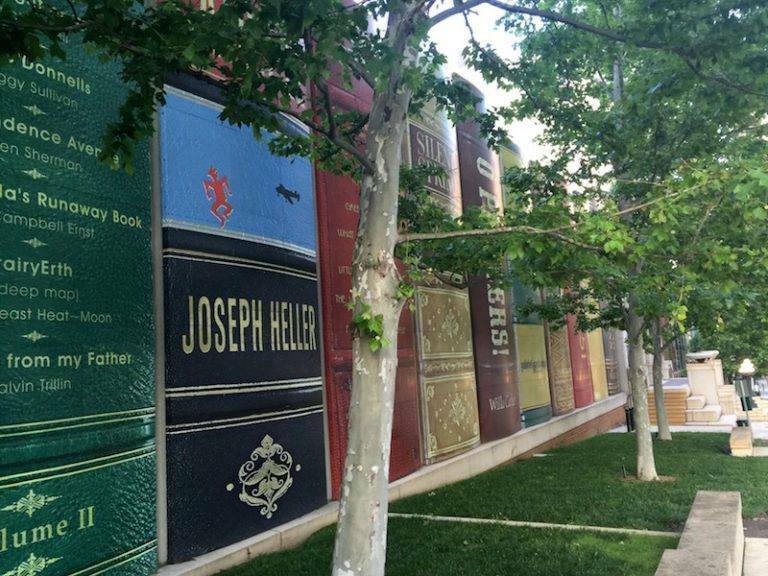 We went to the Kansas City Central Library which is an amazing library. RH: Oh that’s the one with the books on the outside. DT: The book signs and the parking garage. It’s so incredible. You go inside and it’s this old bank that they have converted to a library. You have to see it just to believe it. I always have to check out the children’s section. I’m a big fan of children’s literature. I’m like let’s go check it out. We started talking to the librarian there. We told her what we were doing. She’s like I have something for you. I’ve been holding it for the right people. You are it. Give me just a minute. She went to her office and she came back out. She had this photo book of all these old pictures from Laura Ingalls Wilder’s homesteads that somebody ages ago had put together. It’s like this little scrapbook history of Laura Ingalls Wilder. The library was pitching a bunch of stuff and they wanted to throw that book out. But she kept it because she said she knew some day she would meet someone that that book was meant for. She was like this book is meant for you. DT: Sarah and I we looked at each other and we were like, we’re gonna die on this trip. We’re dead. We are living out our last days because too many good things have been happening to us. Whether it’s gonna be a car accident, we are going down. SG: At least you go down happy. Yayy. DT: That’s what we said. I’m like this has been a great week so at least we die after a fabulous adventure. When too many good things happen I start to question them. SG: But you are alive and well and all ended happily. DT: Yeah, we survived and still here. SG: And you are thinking about writing a book about this eventually, right? DT: Yes eventually. In this Fall I hope to sit down and put together the adventures we had. I will highlight the places that people should stop and see along the way to make it a really solid literature and Americana type trip. You got to see the real side of it. SG: Sort of a cross between a guide book and a memoir. DT: Yes it will. Sarah will I’m sure will help me write it. She is much better with names of stuff. SG: That’s what the internet is for. DT: I know. I’ll try to break it down so people really can do it in 2 weeks and tell them how to make that happen. SG: Well that sounds fabulous. I’m looking forward to it. RH: Yeah, I’ll look forward to that book. It will be fun. DT: That was kinda how it went, always happy to answer questions if people have any. SG: Yeah, they can email you directly if they want. You’re writing at justshortofcrazy.com. What is your email? RH: What does that mean by the way? Just short of crazy. DT: Just short or as my kids say just crazy take the short of out. Stop lying to people whatever. SG: What is your email? SG: Then you are also on the usual social media suspects right. DT: All the social media, twitter is probably best. It’s @debthompson and its T-H-O-M-P-S-O-N. Don’t forget the P.
SG: So thank you very much for speaking to us. RH: So check out Deb’s blog. Deb thank you so much for telling us your story. DT: You’re welcome. Thanks for having me. RH: It was a great trip literary trip. SG: Yeah, I’d love to do this. DT: Yeah, thanks so much ladies! Have a good day.